There was a brief period when Canadian Melodic Rock band Harem Scarem re-branded and became an entity known as Rubber. While they were essentially the same band, the members were starting to take their music in a new direction (and thus the need for a new name) and vying for elusive mainstream success. Naturally, it wasn’t long before fans caught on that Rubber was comprised of the same members as Harem Scarem. They did, however, find some success with the Pop-friendly “Sunshine”, which became a hit in Canada. Amidst some confusion, the band released a follow-up, Weight of the World in 2002, the subject of this review. 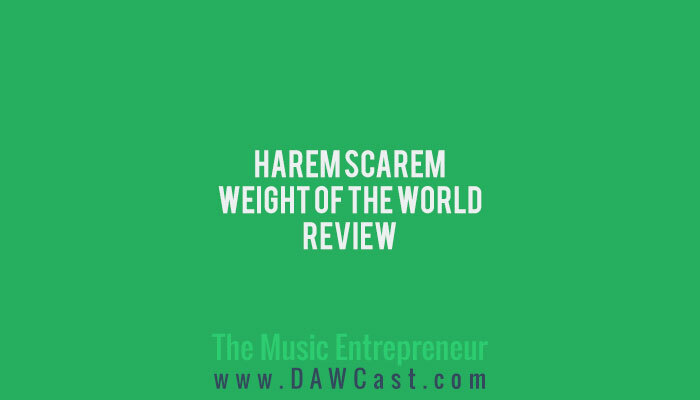 In Canada, the CD was released under the Rubber label, but in Japan and Europe (where they had found moderate success) the band used their old name, Harem Scarem again. This ploy was eventually dropped and the band went back to being Harem Scarem full time. It should be noted, too, that this wasn’t entirely the band’s decision, with several record labels complicating matters. It seems a lot less significant now, but it is nonetheless an interesting history lesson. All in all, the album really speaks for itself. There are some leanings toward an Alternative sound on Weight of the World, but it’s definitely not a repeat of the sound heard on Rubber. This is basically another Scarem album; Melodic Rock (or Anthem Rock if you prefer), blended with new creative ideas and new approaches to production, most notably massive vocal overdubs, and various instrument overdubs that your ear may not perceive upon the first few listens. Thematically, the album appears to be about breaking up. The songs talk a great deal about relationships, personal loss, and the often frustrating nature of dysfunctional relationships. The moody atmosphere and aggressive guitar riffs help to solidify this impression. The music does a great job of reflecting and enhancing the vibe of the writing. Structurally, the album seems like it’s divided into two parts. The first part includes the first five tracks of the CD (“Weight of the World” to “This Ain’t Over”). The well-placed “Internude” kicks off the second part, a series of songs that keep the flow from one to the next. Conceptually, this must have been an intentional and conscious decision. For example, “Charmed Life” feels like a natural extension of “You Ruined Everything” (likewise “See Saw” and “If You”). “See Saw” is like the cousin of “If You”; related but not the same. This must have taken some planning, because “See Saw” is an instrumental and contains no vocals, unlike “If You”. The Hess/Lesperance songwriting unit has proven complimentary in ways that other bands and artists only dream of. Harry’s vocals are well-suited for this type of music, and Pete’s guitar playing is heavy, unique, and intensely creative. This is the most crucial part of the band, but bassist Barry Donaghy and drummer Creighton Doane are anything but second-rate musicians, and the drums and bass are very strong. The band is simply amazing. The cohesive nature of the second section of the album is a brilliant touch. The vocal experimentation heard on tracks like “This Ain’t Over” is melodic genius, and the song arrangements are great. Overall, the songs manage to stay fresh without being too ‘out there’. This is a challenge for a band that has consistently updated their sound. All in all, there are few moments that disappoint in this respect. 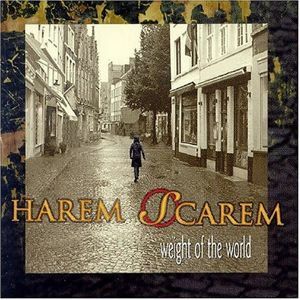 Harem Scarem has a long tradition of creating great hooks, cleverly crafted melodies, and innovative instrumentation. Weight of the World – while it may rely heavily on eighth note rhythms – is no exception. It is heavier than previous records, but it works really well for the band, and there are still plenty of “off” (quieter) moments, which vary up the dynamics. Some of the more unique moments on the record are the intro to “Weight of the World”, almost a classical choral vocal sound accompanied by acoustic guitar; the heavy guitar intro to “All I Want”; the cheery backing vocals on “This Ain’t Over”; and the instrumentals (“Internude” and “See Saw”) are great too. The sound is clear and distinct; heavy and uncompromising. The music can be hard to latch on to at times, but there are some really great songs here. Weight of the World really feels like a breakup record at heart, and it doesn’t really try to be anything else. There are some great musical themes carried throughout, which help to augment this experience. The songwriting is deeply personal, and has depth and character. Weight of the World is a very ambitious record with pleasantly outstanding results. Some songs will probably appeal more than others depending on the listener, but then this is often true of any record. What sets this CD apart from many other prefab records is that the songs are from the heart and are really great all the way through. There isn’t a single disposable song on the album.